The mission of the Evangelical Lutheran Good Samaritan Society is to share God's love in word and deed by providing shelter and supportive services to older persons and others in need, believing that ''In Christ's Love, Everyone Is Someone''. The Evangelical Lutheran Good Samaritan Society is a Christian social ministry organization that seeks to share God's love in lively community settings and through services that support people in their own homes. 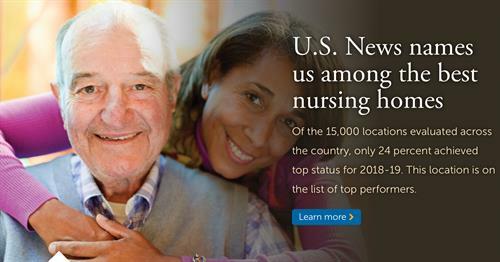 In more than 230 locations around the country, Good Samaritan offers Christian Communities of Care in which seniors find many opportunities for a meaningful and full life. There are a host of housing options and services available, from senior living and assisted living to skilled nursing with rehabilitation and long-term care to home care. The staff members at each Good Samaritan center form an integral part of these Christian communities. Whatever their job is, staff members are invited and trained to weave compassion and hospitality into their daily tasks. The loving relationships that grow between residents and staff help make real in each life a sense of God's presence and peace. The Evangelical Lutheran Good Samaritan Society supports the fullest possible life for the older person and others in need through Christ-centered leadership, a continuum of integrated care and services, and well-prepared and valued staff while encouraging the development of Christian communities.